Reizenberg JL, Bloy LE, Weyl OLF, Shelton JM and Dallas HF. 2019. Variation in thermal tolerances of native freshwater fishes in South Africa’s Cape Fold Ecoregion: examining the east–west gradient in species’ sensitivity to climate warming. Journal of Fish Biology 94(1): 103-112. Dallas HF and Rivers-Moore NA. 2018. Temporal thermal refugia and seasonal variation in upper thermal limits of two species of riverine invertebrates: the amphipod, Paramelita nigroculus, and the mayfly, Lestagella penicillata. Aquatic Ecology 52(4): 333-349. Dallas HF, Lowe S, Kennedy MP, Saili K and Murphy KJ. 2018. Zambian Invertebrate Scoring System (ZISS): A macroinvertebrate-based biotic index for rapid bioassessment of southern tropical African river systems. African Journal of Aquatic Science 43(4): 325-344. Ramulifho PA, Rivers-Moore NA, Dallas HF and Foord SH. 2018. A conceptual framework towards more holistic freshwater conservation planning through incorporation of stream connectivity and thermal vulnerability. Journal of Hydrology 556: 173-181. Rivers-Moore NA, Dallas HF, de Moor FC and Barendse J. 2018. Relationships of water temperature and aquatic macroinvertebrate community structure with non-native riparian plant densities in the southern Cape, South Africa. African Journal of Aquatic Science 43(3): 215-227. Rivers-Moore NA and Hill TR. 2018. A predictive management tool for blackfly outbreaks on the Orange River, South Africa. River Research and Applications 34(9): 1197-1207. Rivers-Moore NA and Palmer RW. 2018. The influence of turbidity and water temperature on black fly species in the middle and lower Orange River, South Africa. Canadian Journal of Zoology 96(6): 614-621. Ross-Gillespie V, Picker MD, Dallas HF and Day JA. 2018. The role of temperature in egg development of three aquatic insects Lestagella penicillata (Ephemeroptera), Aphanicercella scutata (Plecoptera), Chimarra ambulans (Trichoptera) from South Africa. Journal of Thermal Biology 71: 158-170. Shelton JM, Weyl OLF, Esler KJ, Paxton BR, Impson DN and Dallas HF. 2018. Temperature mediates the impact of non-native rainbow trout on native freshwater fishes in South Africa's Cape Fold Ecoregion. Biological Invasions 20(10): 2927–2944. Shelton JM, Bird MS and Marr SM. 2018. Evidence for diet partitioning among three coexisting native freshwater fishes in South Africa's Cape Fold Ecoregion. African Journal of Aquatic Science 43(2): 89-100. Kennedy MP, Lang P, Grimaldo JT, Martins SV, Alannah B, Moore I, Taubert R, Macleod-Nolan C, McWaters S, Briggs JA, Lowe S, Saili K, Sichingabula H, Dallas HF, Morrison S, Franceschini C, Willems F, Bottino F and Murphy KJ. 2017. Niche-breadth of freshwater macrophytes occurring in tropical southern African rivers predicts species global latitudinal range. Aquatic Botany 136: 21-30. Reizenberg JL. 2017. The thermal tolerances and preferences of native fishes in the Cape Floristic Region: towards understanding the effect of climate change on native fish species (Masters dissertation, University of Cape Town). Shelton JM, Weyl OLF, Chakona A, Ellender BR, Esler KJ, Impson DN, Jordaan MS, Marr SM, Ngobela T, Paxton BR, Van der Walt JA and Dallas HF. 2017. Vulnerability of Cape Floristic Region freshwater fishes to climate change and other human impacts. Aquatic Conservation 28(1): 68-77. Shelton JM, Impson DN, Graham S and Esler KJ. 2017. Down, but not out: rapid recent decline of Berg-Breede River whitefish (Barbus andrewi) in the upper Hex River, South Africa. Koedoe. 59(1): 1398. Shelton JM, Weyl OLF, Van Der Walt J, Marr S, Impson DN, Macijewski K, Tye D, Dallas HF and Esler K. 2017. Effect of an intensive mechanical removal effort on a population of non-native rainbow trout Oncorhynchus mykiss in a South African headwater stream. Aquatic Conservation: Marine and Freshwater Ecosystems 27(5): 1051-1055. Bragg CJ, Paxton BR, Shelton JM, Bovim LA and Dallas HF. 2017. Freshwater Fishes of the Cape Fold Ecoregion and Climate Change: Volume 2: Policy Uptake Strategy. Prepared on behalf of the Table Mountain Fund by the Freshwater Research Centre pp 14. Dallas HF, Shelton JM, Paxton BR and Weyl OLF. 2017. Freshwater Fishes of the Cape Fold Ecoregion and Climate Change: Volume 1: Research Synthesis. Prepared on behalf of the Table Mountain Fund by the Freshwater Research Centre pp 12. Dallas HF. 2016. The influence of thermal history on upper thermal limits of two species of riverine insects: the stonefly, Aphanicerca capensis, and the mayfly, Lestagella penicillata. Hydrobiologia 781(1): 95-108. Kennedy MP, Lang P, Grimaldoc JP, Varandas Martin S, Bruce A, Lowe S, Dallas HF, Sichingabula H, Davidson TA, Briggs JA and Murphy KJ. 2016. The Zambian Macrophyte Trophic Ranking scheme, ZMTR: a new biomonitoring protocol to assess the trophic status of tropical southern African rivers. Aquatic Botany 131: 15-27. Rivers-Moore NA, Mantel S, Ramulifo P and Dallas HF. 2016. A disconnectivity index for improving choices in managing protected areas for rivers. Aquatic conservation: marine and freshwater ecosystems 26: 29-38. Shelton JM, Bird MS, Samways MJ and Day JA. 2016. Non-native rainbow trout, Oncorhynchus mykiss, occupy a different trophic niche to native Breede River redfin, Pseudobarbus burchelli, which they replace in South African headwater streams. Ecology of Freshwater Fish 26(3): 484-496. Shelton JM, Clark BM, Sephaka T and Turpie JK. 2016. Population crash in Lesotho's endemic Maloti minnow, Pseudobarbus quathlambae, following invasion by translocated smallmouth yellowfish, Labeobarbus aeneus. Aquatic Conservation 27(1): 65-77. Shelton JM, Woodford DJ, Samways MJ and Day JA. 2016. Are native cyprinids or introduced salmonids stronger regulators of benthic invertebrates in South African headwater streams? Austral Ecology 41(6): 633-643. Paxton BR, Dobinson L, Kleynhans M, Reinecke K and Dallas HF. 2016. FEPAs and Flows - Developing methods for Ecological Reserve Compliance Monitoring in Freshwater Ecosystem Priority Areas (FEPAs) - a case study in the Kouebokkeveld, Western Cape. Water Research Commission Report Number 2340/1/16. Water Research Commission, Pretoria, South Africa. Dallas HF and Ross-Gillespie V. 2015. 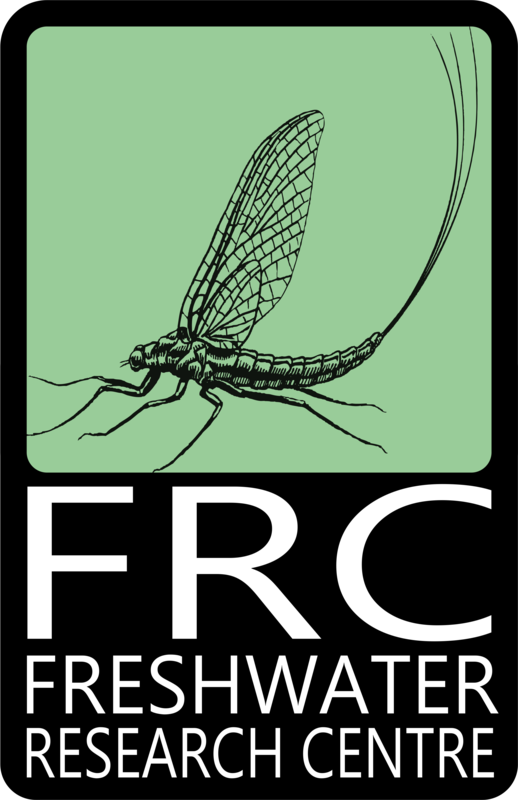 Sublethal effects of temperature on freshwater organisms, with special reference to aquatic insects. Water SA 41(5): 712-726. Kaaya LT, Day JA and Dallas HF. 2015. Tanzania River Scoring System (TARISS): a macroinvertebrate-based biotic index for rapid bioassessment of rivers. African Journal of Aquatic Science 40(2): 109-117. Kennedy MP, Lang P, Grimaldoc JT, Varandas Martins SV, Bruce A, Hastie A, Lowe S, Ali MM, Sichingabula H, Dallas HF, Briggs JA and Murphy KJ. 2015. Environmental drivers of aquatic macrophyte communities in southern tropical African rivers: Zambia as a case study. Aquatic Botany 124: 19–28. Shelton JM, Samways MJ and Day JA. 2015. Non-native rainbow trout change the structure of benthic communities in streams of the Cape Floristic Region, South Africa. Hydrobiologia 26(3): 484-496. Dallas HF, Rivers-Moore NA, Ross-Gillespie V, Ramulifho P and Reizenberg J. 2015. Adaptability and vulnerability of Riverine Biodata to Climate Change – Developing Tools for Assessing Biological Effects. Water Research Commission Report Number 2182/1/15. Water Research Commission, Pretoria, South Africa. Malan HL, Day JA, Ramjukadh CL and Olivier N. 2015. Trajectories of change in wetlands of the Fynbos Biome from the late 1980s to 2014. Status Reports for the individual wetlands sampled during the project. Water Research Commission Report Number 2183/1/14. Water Research Commission, Pretoria, South Africa. Rivers-Moore NA and Dallas HF. 2015. Towards assessing impacts of alien plant infestations on river systems in the Southern Cape using cost-benefit analyses. Water Research Commission Report Number 2264/1/15. Water Research Commission, Pretoria, South Africa. Dallas HF and Rivers-Moore NA. 2014. Ecological consequences of global climate change for freshwater ecosystems in South Africa. South African Journal of Science 110 (5/6): 48-58. Ramjukadh CL. 2014. Are wetland plant communities in the Cape Flora influenced by environmental and land-use changes? MSc thesis. Biological Sciences, University of Cape Town, South Africa. Rivers-Moore NA, Palmer RW and Dallas HF. 2014. Assessing the relative culpability of Simulium (Diptera: Simuliidae) species in recent black fly outbreaks along the middle Orange River, South Africa. Canadian Journal of Zoology 92: 505–513. Shelton JM, Samways MJ and Day JA. 2014. Non-native rainbow trout change the structure of benthic communities in streams of the Cape Floristic Region, South Africa. Hydrobiologia 745(1): 1-15. Shelton JM, Samways MJ and Day JA. 2014. Predatory impact of non-native rainbow trout on endemic fish populations in headwater streams in the Cape Floristic Region of South Africa. Biological Invasions 17(1): 365-379. Shelton JM, Impson DN and Day JA. 2014. Preliminary evaluation of the impact of invasive smallmouth bass on native fish abundance in the Witte River, Cape Floristic Region, South Africa. African Zoology 49(2): 277-282. Clark B, Shelton JM and Sephaka T. 2014. Biological Resources Monitoring within Phase 1 of the Lesotho Highlands Water Project Catchments 2013-14. Report 5a: Fish Katse Catchment Specialist Report 57pp. Clark B, Shelton JM and Sephaka T. 2014. Biological Resources Monitoring within Phase 1 of the Lesotho Highlands Water Project Catchments 2013-14. Report 5b: Fish Mohale Catchment Specialist Report 52pp. Dallas HF. 2013. Ecological status assessment in Mediterranean-rivers: complexities and challenges in developing tools for assessing condition and defining reference conditions. Hydrobiologia 719: 483-507. Eady BR, Rivers-Moore NA and Hill TR. 2013. Relationship between water temperature predictability and aquatic macroinvertebrate assemblages in two South African streams. African Journal of Aquatic Science 38(2): 163-174. Lowe S, Dallas HF, Kennedy MP, Taylor JC, Gibbins C, Lang P, Sichingabula H, Saili K, Ntobolo C, Kabangu K, Day JA, Willems F, Briggs JA and Murphy KJ. 2013. The SAFRASS biomonitoring scheme, general aspects, macrophytes (ZMTR) and benthic macroinvertebrates (ZISS) protocols. SAFRASS. Deliverable Report to the ACP Group Science and Technology Programme, Contract No. AFS/2009/219013. University of Glasgow, Glasgow, Scotland. 19 pp. Rivers-Moore NA, Dallas HF and Morris C. 2013. Towards setting environmental water temperature guidelines: A South African example. Journal of Environmental Management 128: 380-392. Rivers-Moore NA, Dallas HF and Ross-Gillespie V. 2013. Life history does matter in assessing potential ecological impacts of thermal changes on aquatic macroinvertebrates. River Research and Application 29(9): 1100-1109. Watson M and Dallas HF. 2013. Bioassessment in ephemeral rivers: constraints and challenges in applying macroinvertebrate sampling protocols. African Journal of Aquatic Science 38(1): 35-51. Lowe S, Dallas HF, Kennedy MP, Taylor JC, Gibbins C, Lang P, Sichingabula H, Saili K, Ntobolo C, Kabangu K, Day JA, Willems F, Briggs JA and Murphy KJ. 2013. The SAFRASS biomonitoring scheme, general aspects, macrophytes (ZMTR) and benthic macroinvertebrates (ZISS) protocols. SAFRASS. Deliverable Report to the ACP Group Science and Technology Programme, Contract No. AFS/2009/219013. University of Glasgow, Glasgow, Scotland. 16 pp. Dallas HF and Rivers-Moore NA. 2012. Critical Thermal Maxima of aquatic macroinvertebrates - towards identifying bioindicators of thermal alteration. Hydrobiologia 679(1): 61-76. Rivers-Moore NA, Mantel S and Dallas HF. 2012. Prediction of water temperature metrics using spatial modelling in the Eastern and Western Cape, South Africa. Water SA 38: 167-176. Dallas HF and Rivers-Moore NA. 2012. Water temperatures and the ecological Reserve. Water Research Commission Report Number KV 1799/1/12. Water Research Commission, Pretoria, South Africa. Dallas HF and Ketley ZA. 2011. Upper thermal limits of aquatic macroinvertebrates: comparing Critical Thermal Maxima with 96-LT50 values. Journal of Thermal Biology 36(6): 322-327. Dallas HF and Rivers-Moore NA. 2011. Micro-scale heterogeneity in water temperature. Water SA 37(4): 505-512. Day JA and Dallas HF. 2011. Understanding the basics of water quality. In Water Resources, Planning and Management: Challenges and solutions. Cambridge University Press, UK. Chapter 4. Dallas HF. 2008. Water temperature and riverine ecosystems: An overview of knowledge and approaches for assessing biotic responses, with special reference to South Africa. Water SA 34(3): 393-404. Shelton JM, Day JA and Griffiths CL. 2008. Influence of largemouth bass, Micropterus salmoides, on abundance and habitat selection of Cape galaxias, Galaxias zebratus, in a mountain stream in the Cape Floristic Region, South Africa. African Journal of Aquatic Science 33(3): 201-210. Dallas HF and Mosepele B. 2007. A preliminary survey of the aquatic invertebrates of the Okavango Delta, Botswana. African Journal of Aquatic Science 32(1): 1-11. Dallas HF, Kennedy MP, Taylor JC, Lowe S and Murphy KJ. 2010. SAFRASS: Southern African River Assessment Scheme. WP4: Review of existing biomonitoring methodologies and appropriateness for adaptation to river quality assessment protocols for use in southern tropical Africa. Prepared for ACP Contract AFS/2009/219013.